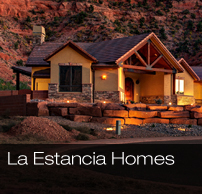 View the home plans available from La Estancia in Kanab, Utah. You will love our homes and the available options! 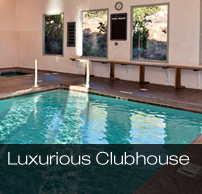 La Estancia has an amazing clubhouse available for parties, events, meetings, or just hanging out! Are you thinking about moving to La Estancia in Kanab? Residents of La Estancia love being so close to so many things! We are proud to have a dog park unlike any other. Dog owners love living in Kanab that is truly Dog friendly. If you are looking for a place that allows you to explore some of the most strangely beautiful landscapes in the world, and do pretty much as many outdoor activities you can think of, then Kanab, Utah is just the place for you. Kanab is a special place unlike any other. It is literally centrally located within some of the worlds most well known natural wonders such as the Grand Canyon, Bryce Canyon, Zions National Park, and has landmarks so incredible that Hollywood movies have been made right here close to home for many, many years. Kanab offers a peaceful lifestyle and yet offers some of the most outrageous outdoor sports you can imagine just a short drive away. 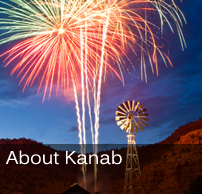 Kanab offers great golfing, world famous rock climbing, boating, hiking, and much, much more. Some of the best restaurants in the South Western States can be found right here in Kanab. If you are even considering moving to Kanab or just coming here on vacation, our website will help you learn all about the wonderful things available right here. 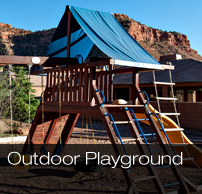 La Estancia is by far the premier place to live in Kanab, Utah. Learn More. Our Clubhouse has a great outdoor playground for the little ones. Check it out. 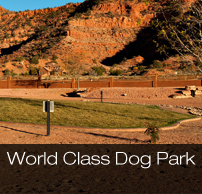 La Estancia has a world class dog park for you dog lovers! Learn More. 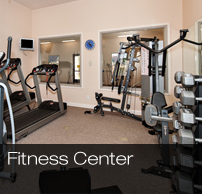 Check out our clubhouse fitness center that will help you stay fit. See it here. Call your local agent for more information.